The sheet music for the track Cath can be purchased below. Cath is a Death Cab For Cutie composition. Please click on the preview button to view a one-page preview of the score. Most scores also offer a one-page audio playback. Once you have purchased and printed a piece of sheet music you will be able to view and hear the piece in its entirety. Should this composition be available for a number of different instruments, then you have the option to view arrangements for just one specific instrument. In order to achieve this, please click on the drop-down box called "Instrument" and alter the selection. 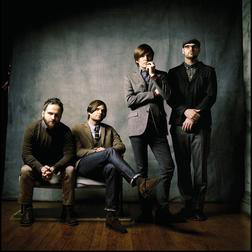 We have a Comments tab below where you can write your thoughts about this Death Cab For Cutie song. Simply click on it to view existing customer feedback, and to type your own. All you need to do is choose a screen-name (one that has not yet been taken - we will tell you if it has been), and you are ready to post. Do you use Facebook or Twitter? Then you can easily tell your online friends about this great masterpiece by clicking on the "share" button on this page. Our catalogue features 1 arrangement of Cath, available for purchase for 1 instrument.